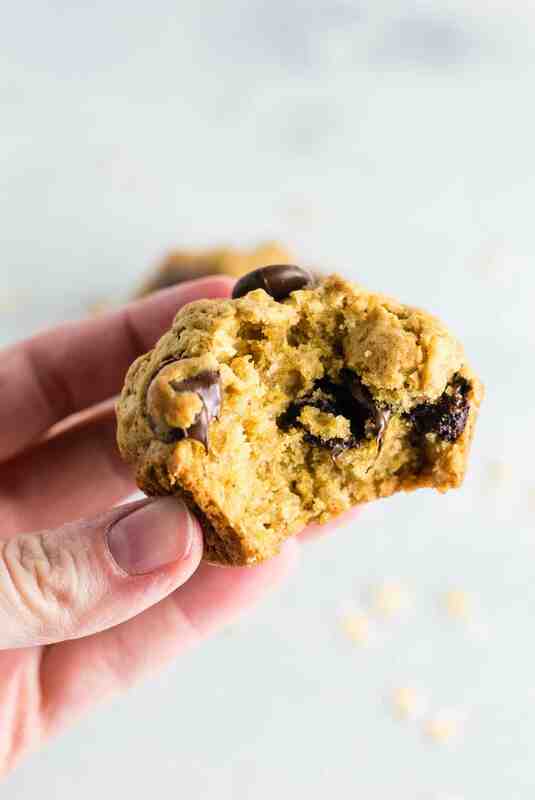 I want you to close your eyes for a second and imagine biting into a warm oatmeal chocolate chip cookie straight out of the oven. 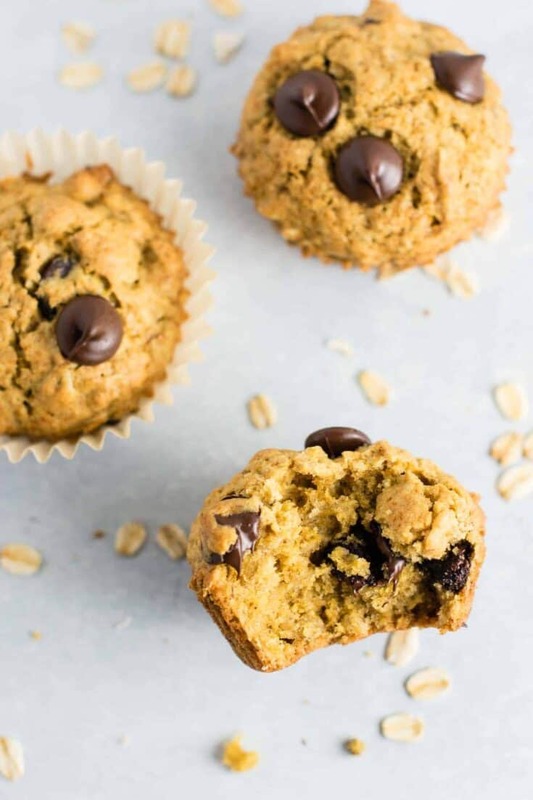 That is exactly what it tastes like to bite into one of these incredible muffins. The taste of cookie in the body of a muffin. That’s what dreams are made of my friends. 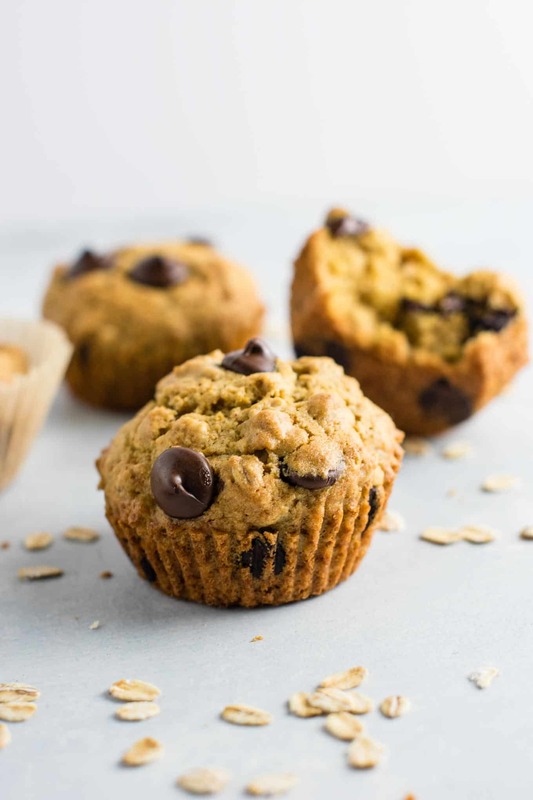 These muffins are packed full of better-for-you ingredients and can be easily thrown together on a Sunday afternoon for the upcoming week’s breakfast or snack on the go. And did I mention they taste just like biting into a cookie? For real y’all. Let’s all have a moment of silence to let that sink in. 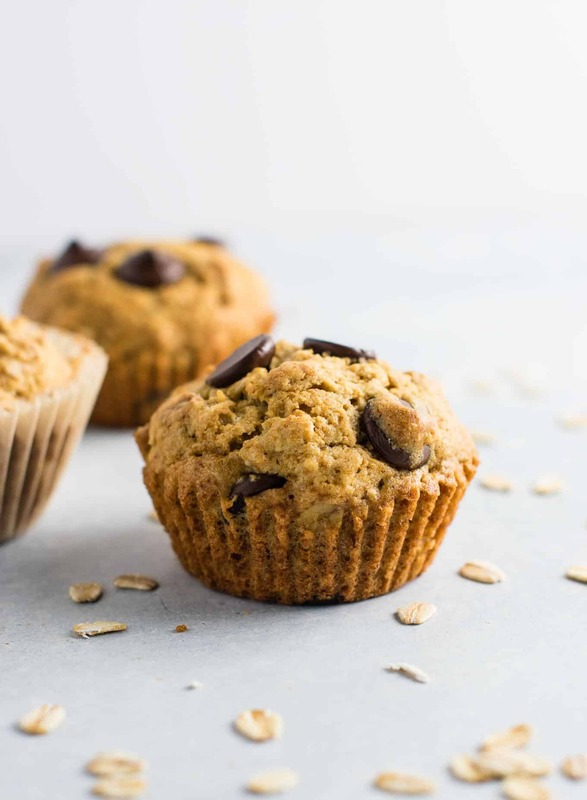 A healthier breakfast muffin. 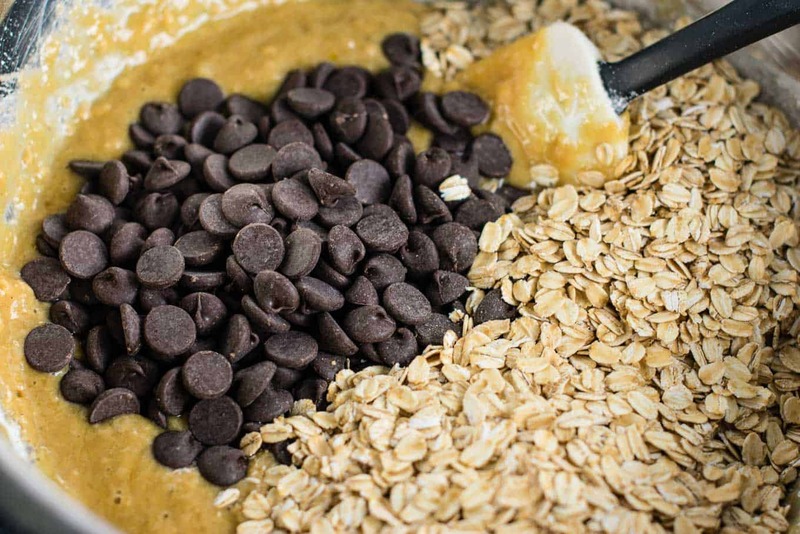 That tastes like a melt-in-your-mouth oatmeal chocolate chip cookie. It’s basically all of my breakfast dreams come true. 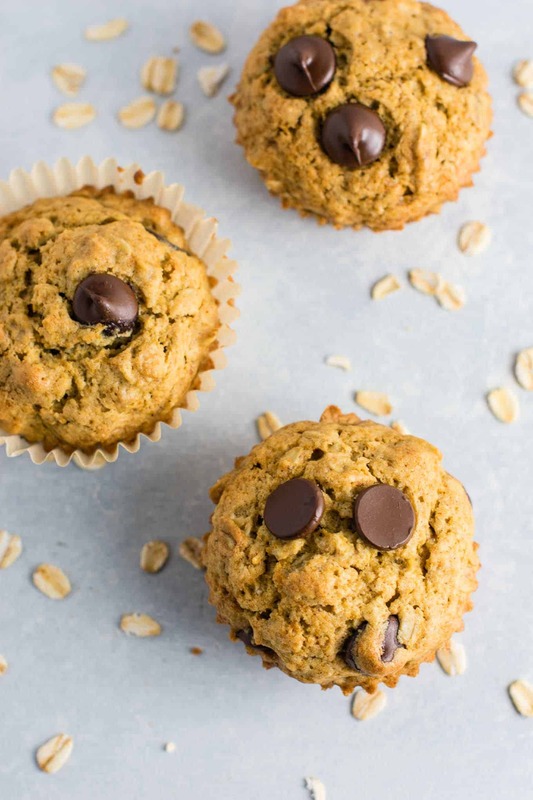 Whole wheat pastry flour gives these muffins an insanely soft and delicate texture which I love. It’s also a healthier alternative to using regular white flour. 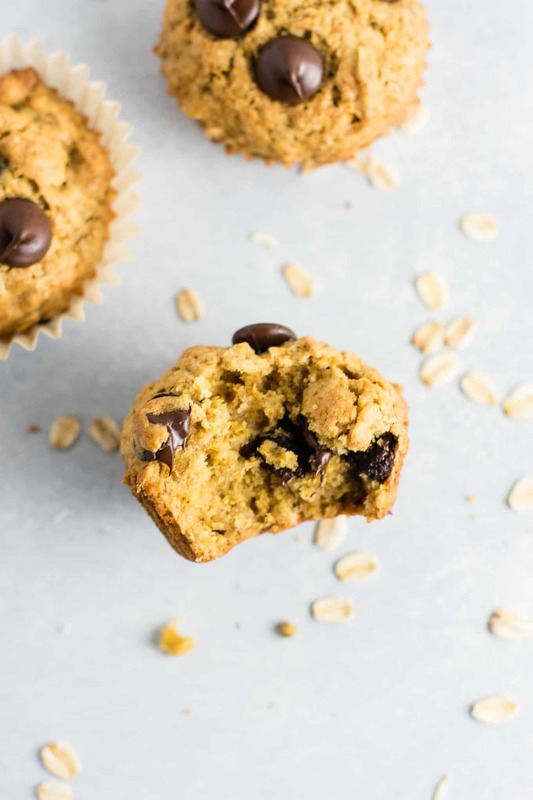 We are also using feel good ingredients like olive oil, applesauce, and coconut oil to make these incredibly delicious. This recipe makes 24 muffins, so I took half to my neighbor and kept half for us. Crosby ate one for lunch and kept saying “mmm” so I’m calling that a mom win for my little guy. I love these fresh out of the oven, or microwaved a few seconds if it’s the next day. 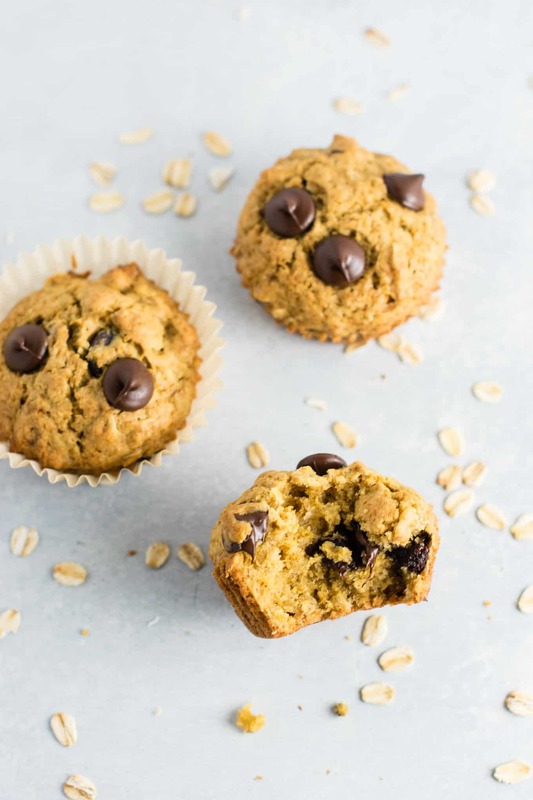 A healthy muffin that tastes like a cookie? I’m sold! These look amazing! 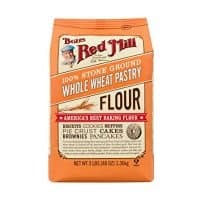 I haven’t tried making these gluten free, but you should be able to substitute the flour for any gluten free flour blend. Most of them say on the package that they are a 1:1 sub. Let me know if you try it! any suggestions for allergy friendly? can’t have coconut oil or almond milk! Hey Jess! You could try subbing any other milk that you can have, and use olive oil or melted butter in place of the coconut oil. I haven’t tried it myself, but it should work, hope that helps!